Hi, I’m Sharon Machlis, Director of Editorial Data & Analytics at IDG Communications. 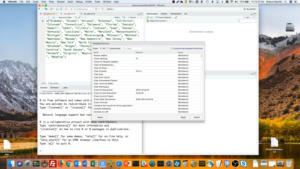 I’m here with Episode 11 of Do More With R: Schedule R scripts to run from the Mac command line. 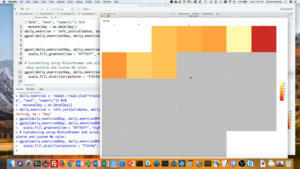 RStudio is a handy interface to work interactively. But sometimes once you finish your script, you’d like it to run every week or every day, without having to kick it off manually. 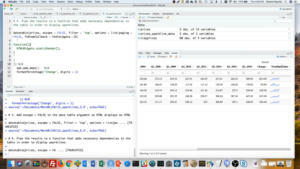 For important, mission-critical work, there are scheduling solutions like RStudio Connect. For smaller things where you can live with the occasional fail, you can set up a Mac to run scripts from the command line. Let me walk you through one way to do this. Here, I’ve got a test script that saves the system time in a variable called current_time. The 2nd line prints that current time. 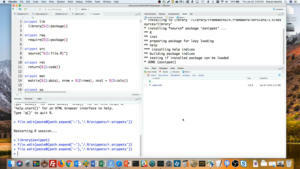 Third line creates a message variable with the character string “This is a test I’m running at” and the current time variable. By the way, if you’ve never used the glue package before, it can be a nice alternative to using paste. Any code or variable name inside curly braces within a quoted character string gets evaluated, and the value is used in the string. 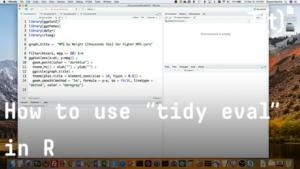 Let me change directories so my terminal is in my More With R directory. In this Linux-like terminal, the command to change directories is cd, and not R’s set.w.d. If you’d like to schedule this to run automatically, there are a couple of more things you need to do. 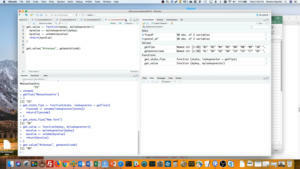 Last step is to set up what’s called a cron job, using something called crontab. 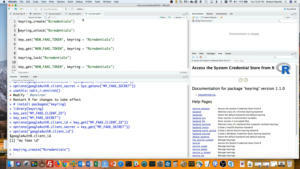 In theory, cron isn’t the preferred way to do this on a Mac. The new approved way is to use Apple’s launchd. But I’ve been using cron for a long time, and I think it’s easier than launchd. cron still works. 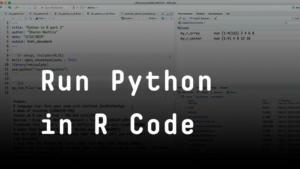 And, there’s a cool R package that works with cron and RStudio add-ins. If you are familiar with Unix cron jobs, you can schedule them in your Mac terminal. Otherwise, you may want to check out the cronR package. 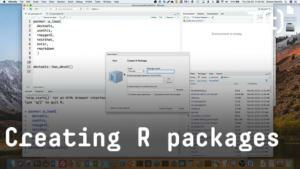 If you want its RStudio add-in to work, you need a few other packages, too. Pick the time I want, and whether I want it running every hour, every day, and so on. Then I just need to click on the Create job button at the bottom, and Done. 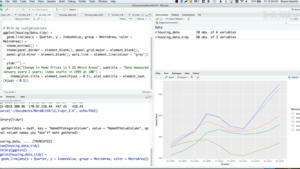 You can see in the bottom left RStudio panel, details for the new cron job that was created on my system. One really important point: The test.txt file that’s created by this cron job will NOT be in my project directory. 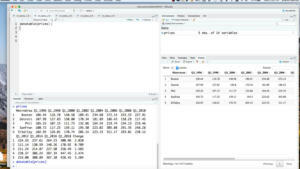 RStudio understands that you’re in your project directory. cron won’t. On a Mac, that file will be in your home directory, unless you specify another location. Oh, and one final point: Of course if your Mac is off, the cron job won’t run. But if it’s asleep, the script won’t run either. You can make sure your Mac wakes up a minute or two before your job is scheduled to run by going to System Preferences > Energy Saver > Schedule and set the Start Up or Wake time. OK, that’s it for this episode, thanks for watching! 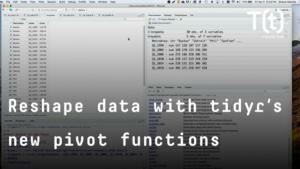 For more R tips, head to the More With R video page at go.infoworld.com/morewithR. 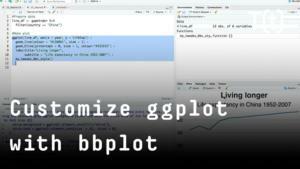 That’s https go dot infoworld dot com slash more with R, all lowercase except for the R. Or, you can add the “Do More With R” playlist to your YouTube library. So long, and hope to see you next episode!